This all in one is perfect for a night out, especially with heels! 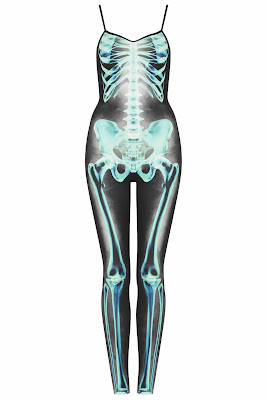 You can imagine the skeleton print standing out under the club lights and looking a little spooky. It's sold out online but it's worth checking in store to see if you can find it. 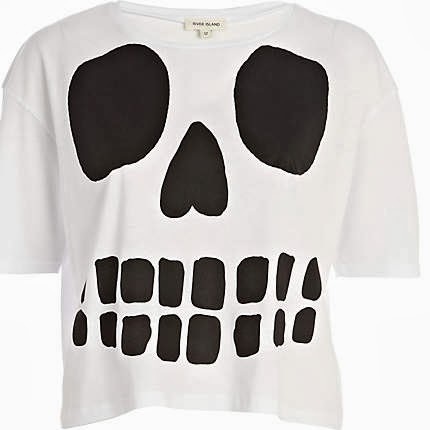 River Island's skull crop top would go perfect with skinny jeans or leather trousers and heels. If you don't want to spend £15 you could buy a tshirt from Primark and create this look yourself. It will be cheaper and you'll impress your friends! This sweater is more for in the day than the evening. The fantastic thing about it is that is glows in the dark! How amazing is that?! I love how cute it is with the Bat and the words, and the fact it glows in the dark just makes it so much cooler. 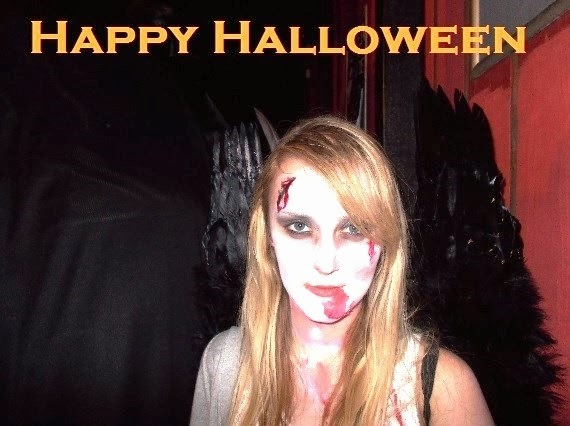 Look out for my post on Halloween, where I will be discussing the best films to watch on a Halloween night in!